LAS VEGAS, NV - Canyon Creative announces the launch of a new website, www.AmericanLocker.com. Widely known for their iconic key with the orange plastic cap, American Locker has set the industry standard by delivering customized storage, distribution and inventory management solutions for over 85 years. Their parent company, Cole Kepro International LLC, turned to Canyon Creative for help in improving their online visibility. Our team of designers, copywriters and programmers created a website that not only better captures their brand, but creates a richer, more streamlined experience for all users. 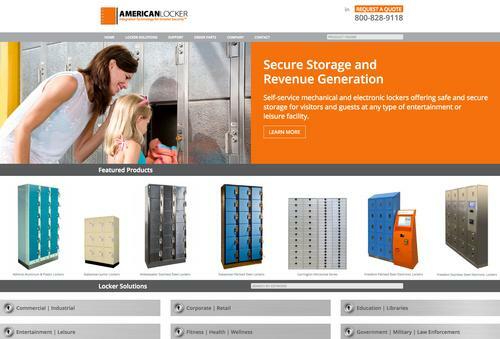 Canyon Creative is currently working with American Locker to add ecommerce functionality to the new website. Expected rollout is 3rd Quarter in 2016. For over 20 years, Canyon Creative has worked with well-known clientele throughout the corporate, resort, gaming, retail, restaurant, theme park, hospitality, and entertainment industries. The Las Vegas-based agency offers creative services, including branding, advertising, marketing, graphic design, website development, social media, SEO and SEM services, packaging, environmental graphics, and retail product development. Canyon Creative’s team of Imaginative Strategists is comprised of experienced advertisers, designers, writers, creative thinkers, web developers and hard-working lovers of fun. LAS VEGAS, NV - Canyon Creative recently launched www.BenSeidman.com. 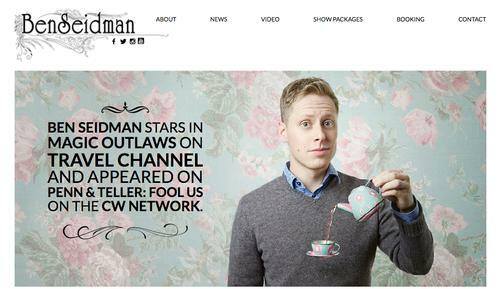 Ben Seidman is an internationally acclaimed magician, comedian, TV star and award-winning entertainer. His performances are energetic and hilarious; his sleight-of-hand magic, often mind-blowing.